At Ridgway, we offer a wide selection of used Komatsu for sale, all from our own hire fleet! 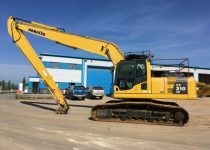 All of our used Komatsu machines are very competitively priced and available in the UK, Europe and Worldwide! We can arrange the shipping and delivery of all our second hand Komatsu machines to any country in the world. 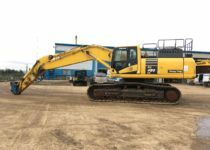 All machines have been owned by us from new, have been serviced regularly by Komatsu and maintained to a high standard between hires by our qualified engineers. 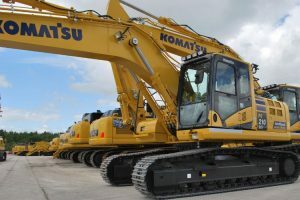 If we don’t have the used Komatsu you are looking for on our website, please ring us on 0800 515155 or fill in the enquiry form below as we are constantly buying in new machinery for our plant hire fleet to ensure we have the most up-to-date plant hire service available – nationwide!